Social navigation app Waze on Monday added a new Waze Places point-of-interest feature, extending its crowdsourced data model from traffic information to data on business and other popular destinations. 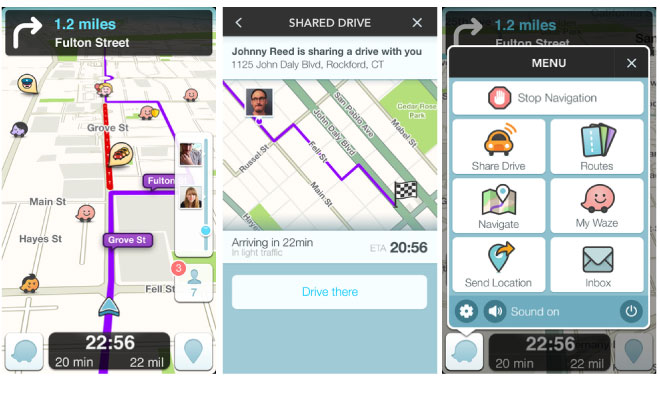 Waze, long famous for its crowdsourced traffic data, has now undertaken an effort to add crowdsourced point-of-interest data. Waze users can easily add or edit places —both business and residential— and add metadata, such as whether a particular building has a parking lot or a restaurant has a drive-through. Waze Places can also be assigned "arrival photos," and the app will now track where users park. The company says the latter data will also be used to calculate parking locations and the time required to find parking for a particular destination. Waze also promises "multiple bug fixes and optimizations" alongside worldwide autocompletion of searches. Waze version 3.9 is available now as a free, 47.9-megabyte download from the App Store.